Tarot readings to answer any questions you may have with an amazing empathic reader. 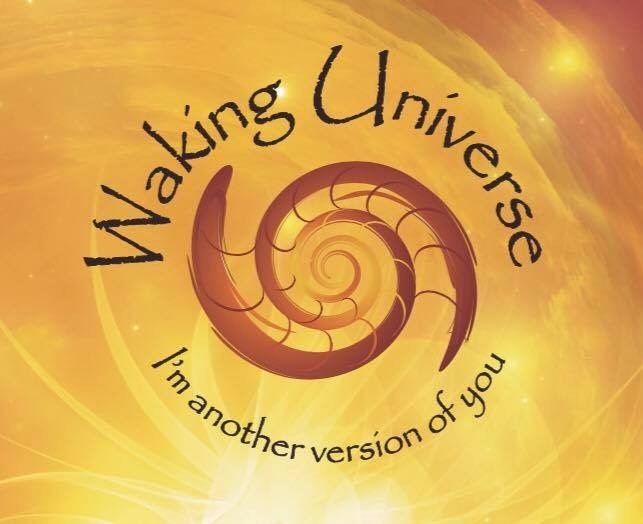 Waking Universe provides reiki and other types of energy healing services at our Upland store. Waking Universe offers energetic cord cutting services to help you release cords and move forward. A unique empathic experience between you and your reader to help you deal with a question, circumstance or more. Waking Universe offers House Blessing services to clear the energies in your home and help you set the intention for your new or current residence. Waking Universe offers guided meditation services to help you reconnect with the present and yourself. Waking Universe offers assistance with inner child work. Reconnecting, healing and learning to love your inner child can assist you in your current adult life. Waking Universe offers services directly related to identifying and healing past life experiences so that you can move forward in this current life. If you're unsure which service would best work for you give us a call at 1-909-286-5141 and receive a phone consultation about which option is best for you. Praise from our previous guests and clients! have had my last hope of anything. Tried it all.. this place has been the only place that made me truely feel a change. Christina is so genuine & relatable when she speaks to you. She sits with you, feels your energy and explains her gift & walks you through it! I went for an alignment of my chakras & healing. For me its hard to focus but I tried my best and felt tired after but its all part of the spiritual cleaning. Her healing was wonderful.. electric.. peaceful.. & emotional for me. I had my cards read & that was unexplainable. Just Incredible. Beautiful space, beautiful things all around you. I will be back and piece by piece put myself back together and stay strong 2018 im ready. Thank you Christina. I highly recommend Waking Universe to anyone out there who is seeking for the truth, light and being one with yourself. I travel from Los Angeles to Upland just to come here! As soon as you walk in the shop, it does not even feel like a shop! It feels like home with all the good and positive energy welcoming you. Even if you are having an okay day or not, your inner self would not even let you open your mouth to speak of anything negative in this place. You would only want to speak of good things about anything. I've been here three times already and even on a heatwave kind of day, I would drive down here just like I did today! If you are looking for a place to start to get to know yourself better and be one with yourself or make friends, Cristina and Lance are very good people. The warmth and love in them makes everyone around them want to come back for more. This place is a blessing. Thank you and see you again soon! This place is amazing! So many great metaphysical providers and classes. The studio/shop has a great inviting ambience and wonderful selection of crystals. The best thing about Waking Universe is Cristina Mercado. I have been using/working with Cristina for some time (tarot readings, mediation, spiritual balancing, etc.) and always appreciate how much energy and focus she puts into a reading, not just with tarot cards, but by using spirit guides as well. Whenever I feel like I need some directions or clarification with something in life, I come to see Cristina and leave feeling restored. Her talents exceed the realm of spiritual ... as though I've just undergone an intensive therapy session that is multifaceted. I don't even think about seeing anybody else, needless to say, I highly recommend her and really appreciate her gifts and intentions. HERE'S TO YOUR SPIRITUAL GROWTH AND ADVANCEMENT! We are here to answer any questions you have about any of our products or services. Message us using the form below if you have any questions or give us a call at (909) 286-5141.